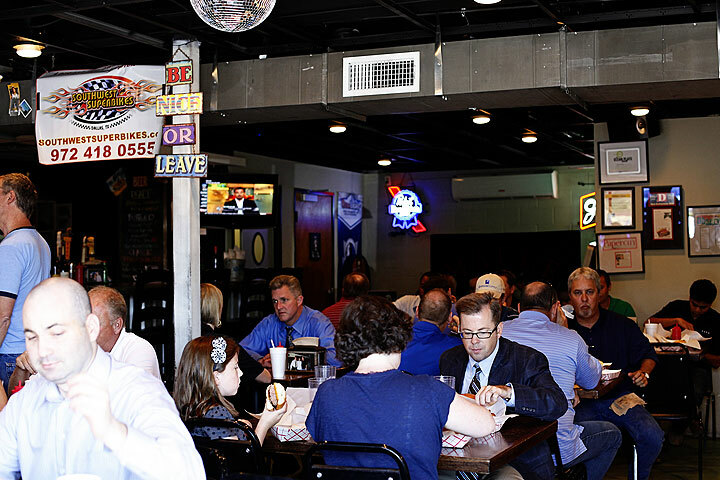 When I knew I was heading to Dallas in late September, I called my friend (and professional photographer) Chris Moseley, and asked him where HIS favorite burger was. He did what any reasonable person would do – created a Facebook poll. 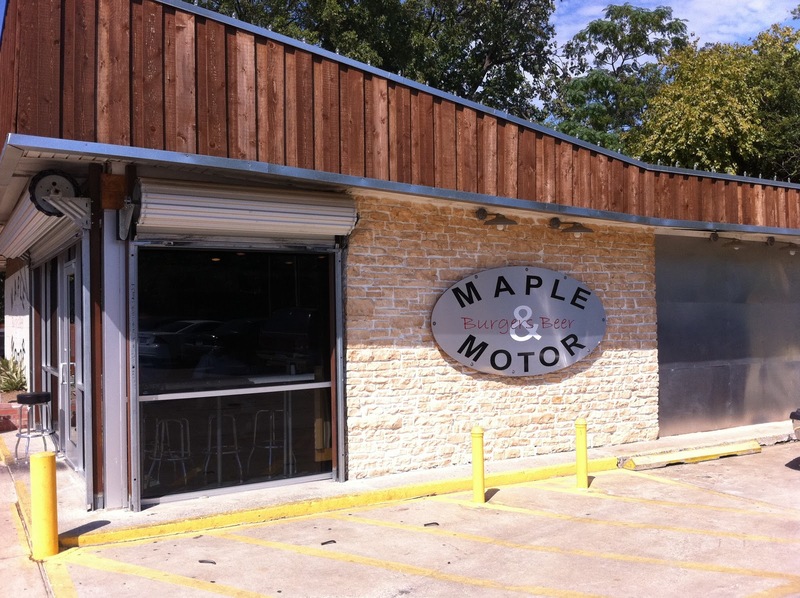 The consensus was that we should meet and eat at Maple & Motor. So we did, for lunch. We went in and scouted for a table. Even at 11:30, it was packed. 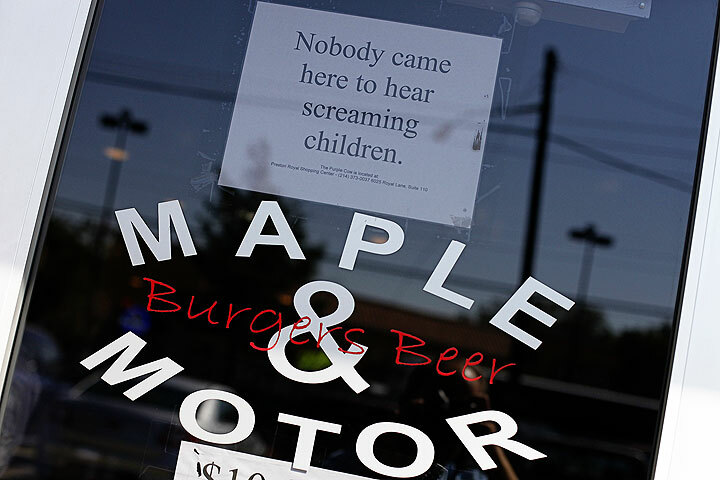 But the burgers smelled good. 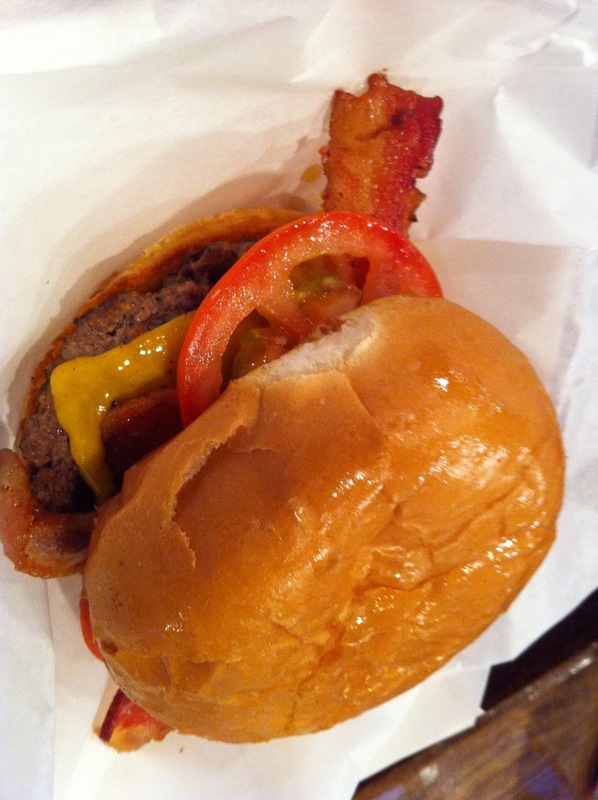 The menu was burger-based, but with a big list of “must-adds”: chili; double meat; bacon (mmm. bacon); fried egg; grilled onions; and grilled or pickled jalapenos. But what caught my eye was the alternatives: flat top brisket; fried baloney; grilled cheese; BLT; chicken or sockeye salmon. Chris asked the order-taker-person (I don’t know what to call the guy, he wasn’t a waiter, or cashier and may have been the owner, so we’ll call him OTP), whether he should go with the fries or the tots. You know me, I’m all about the tots. 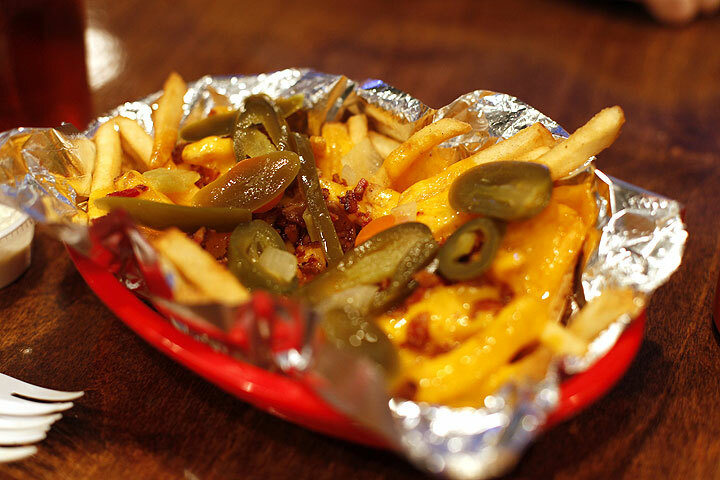 But OTP said the fries were actually better, so Chris ordered fries, with cheese, bacon (mmmm. bacon) and jalapenos. They were good. Being the practical man I am, and torn between tots and fries, I did what I believe that Solomon would have done in the same situation. No, I didn’t ask they split an order and half and see who loved it more. Instead, I ordered a fried baloney sandwich as my side. It was really good, too. I don’t know what they do to the buns, but the bun was perfect for the sandwich and the burger. 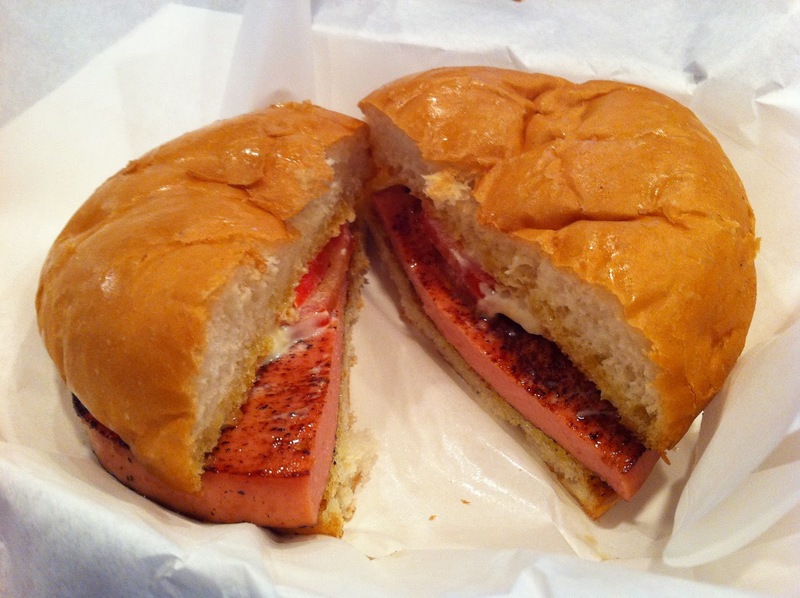 Hard to tell in the photo, but that beautifully seared slab of baloney is about 3/8″ thick. It came out pink in the center. It was a mighty fine burger. 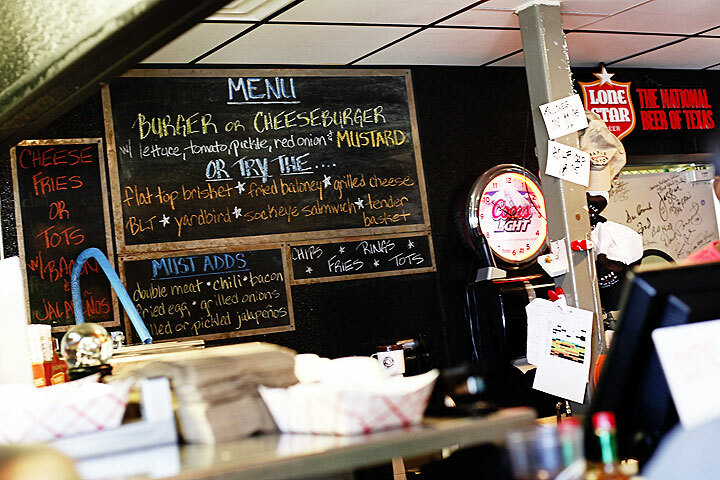 A great burger and great company. I’d go there again.